Many of us must have dreamt about the glorious, yet dangerous life of a secret agent. We’d love to save our country, or perhaps even the world, while cruising in fancy cars, going to the best clubs and of course have many gadgets to support us on our missions. 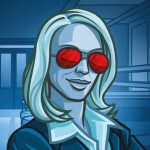 Nonetheless, there will be other agents you will have to cooperate with and find back on the field, after they have applied one of their many effective disguises. In Codenames, you and your allied spymaster will have to find the other operatives out on the field, only by receiving their codenames. 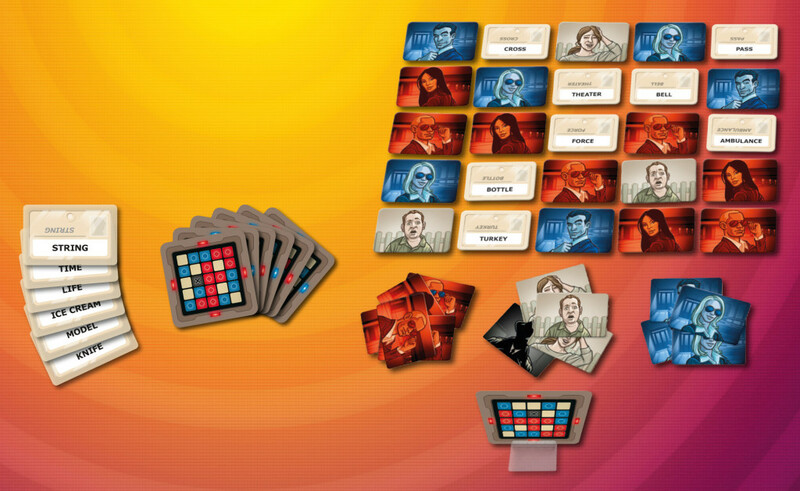 Overall Codenames looks fairly simple in design, with some nice finishing touches on the different characters cards. The character cards have fun illustrations, that would fit right in a comic book with the same theme as the one the game is aiming for. Other than that, the codename cards and the key cards are quite basic, but truth be told, they look good enough and more importantly they are easy and clear to work with. The creators added in an hourglass, to motivate slower players into playing their turns a lot faster. Whilst you probably won’t need the hourglass, it’s a fun extra that comes with the game. Synchronize watches, put on your best suit and get ready for some undercover action. In Codenames you will have to be the first (team) to discover your field operatives, out of a grid of 25 codenames. 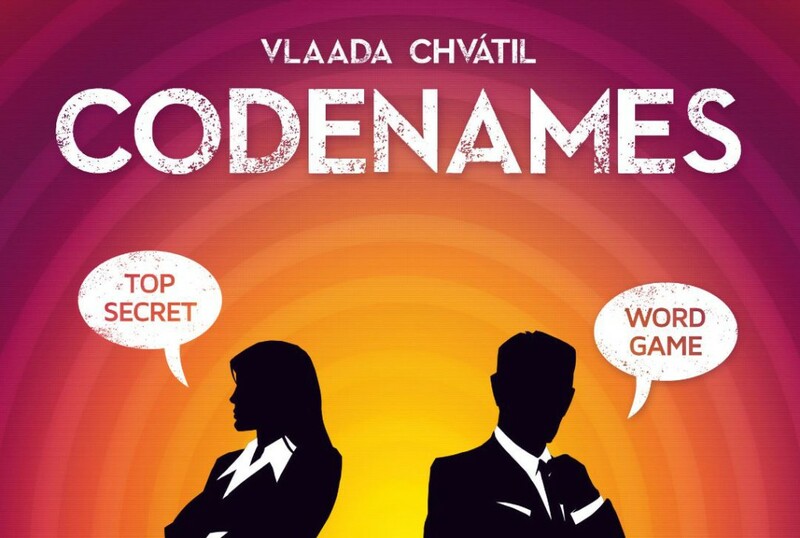 All in all this is simply done by guessing the right words after your spymaster gives you a one word hint, that is in connection with the words on the codename cards. As this game is advised to be played with four players, we will take a closer look at the four player mode, nonetheless, the modes with fewer or more players still follow the same rules, albeit with slightly different team compositions. As a matter of preparation, a random player will have to draw 25 of the codename cards and place them in a 5 x 5 grid. After this, the spymasters choose a key card, which depict a 5 x 5 grid, with red, blue and brown tiles and a single black tile. Depending on which color the border of the key card has, there will be either one extra blue or red tile. For example, if the border is red, there will be one more red tile, but the red team is allowed to begin, and vice versa. After this set up is completed, you’re pretty much good to go. 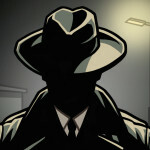 Players will receive a single word hint from their spymaster, followed by a number. The word should point out to one of the words on the field (of course, not the same word), and the number is how many agents could be found with that specific hint. For example, if one of the spymaster gives the hint: ‘Garden; 2’, and the field has the words ‘Flowers’ and ‘Gazebo’, it could be possible that those two are agents of your team, when picking those words. If you find those agents, you are in theory allowed to make another guess, but it’s often wiser to stop your turn, except if you wrongfully guessed last turn, and you think you finally understand the previous hint now. Beware, sometimes certain words may look alike and this means a given hint, could also connect with a card of one of the other team’s agents. If you guess a card that’s in connection with another team, or the brown color (innocent bystanders), your turn will immediately end. If you pick the card with the black tile connected to it, it’s game over, as the assassin just killed you. You can also decide to play with less players, seeing four players are not always that easy to find. 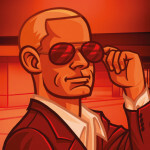 When playing with a total amount of three players, you will play as a real double agent, working for two spymasters. If three is still a crowd, you will take turns in being the spymaster or the operative in a two player version, with a ‘fictive’ player getting one right answer each turn, after you have ended yours. Honestly, it’s quite hard to either place this game in a category of luck or strategy, as everything depends on which hints are given, and of course on the layout of the playing field (luck). If the one handing out the hints, is able to make easy connections between a lot of words on the playing field, that work to your advantage, he might be able to give you hints that allow you to uncover multiple agents in a single turn. If not, it’s pretty much an agent per turn, hoping someone will slip up. Whilst this might sound bland and dull, it’s actually a lot of fun. Keep in mind, the game is the most fun if the operatives and spymasters avoid eye contact or don’t look at where the spymaster is looking on the field. Otherwise it would be silly to even bother stating hints. In short, Codenames is a mix of Bingo and Who is it?, but in a surprisingly fun jacket. You’ll have to work together as a team, and try to find as many of your operatives as possible, without uncovering the others or the assassin. Fun guaranteed, as you’ll soon learn that only one word is not that much to work with. Take out those spyglasses and scout your surroundings. Hitman 2 – New video released! Hitman 2 – New trailer!